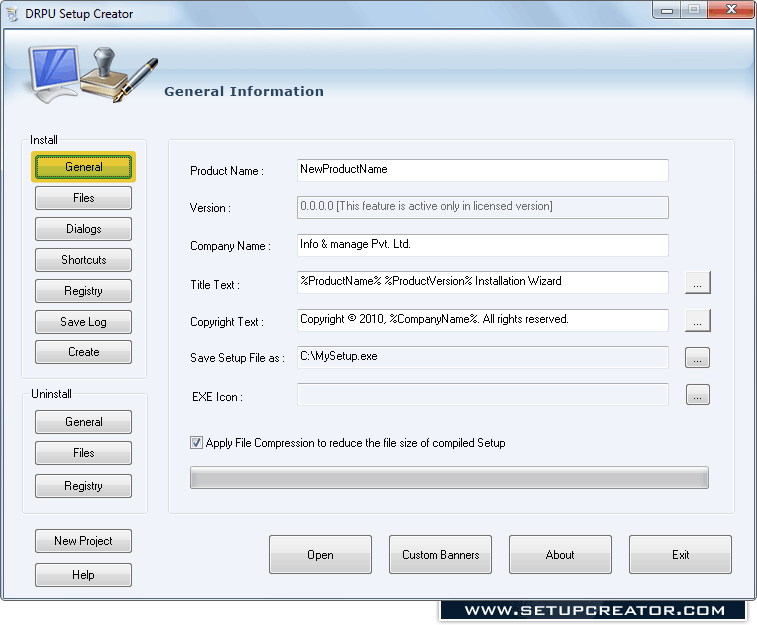 Setup creator software facilitates user to create setup installation files for the windows application. 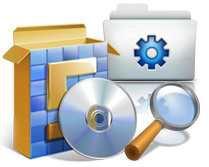 Setup generator software combines all programs and data into a single self extracting installation file that helps in distributing and deploying your windows application among multiple users over internet or via any other source. Setup Generator Interface compiles the complete setup program and produces .EXE file that run on Microsoft Windows operating system. Customizable and extensible software: Lets you present things the way you want. You can customize your software setup by including license agreement, by launching desktop icon or more facilities while building exe creator setup. Compact installation: Smaller code size compared to other installer application. Setup Dialog Interface: Lets you to customize the dialog sequence, add or remove dialogs, select images and modify text messages any way you like. Registry Support: Helps you to specify registry details including software and hardware information while creating executable file. Comprehensive Install and Uninstall Utility: Gives you customized Installation and Uninstallation procedure.